If you’re planning a local, out of state, or international move to or from Hancock, MI think of Guindon Moving & Storage as your preferred moving and storage company. We’re a professional moving and storage company who’s dedicated to customer service and we have been in the moving and storage industry for more than 80 years. With that kind of experience comes the knowledge and expertise to get you to your new home safely and efficiently. 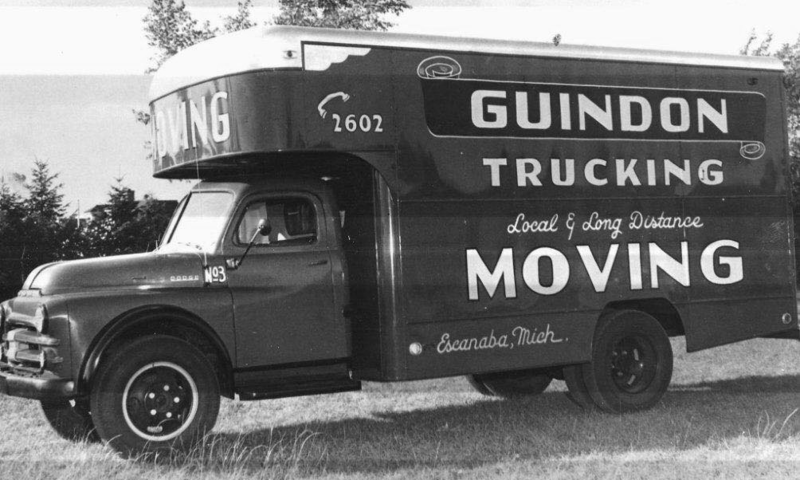 Guindon customers are provided with a knowledgeable moving coordinator who is there to answer questions and make sure the move goes smoothly. After moving to Hancock, MI, you’ll immediately recognize the natural beauty that characterizes this city. Make sure your moving and storage needs are taken care of by the pros at Guindon Moving & Storage so you can take the time to explore and enjoy your new home. When you call Guindon Moving & Storage, you can rest assured with the peace of mind that your move is being handled by professionals who put customer satisfaction above all else. Moving is a big undertaking, no matter if it’s a local or long distance move. Having the help of moving professionals makes the transition so much easier. Don’t allow a residential or commercial move to cause you stress, let our moving and storage professionals make this a stress-free moving experience. At Guindon Moving & Storage, we make sure that our moving coordinators have a plan of action long before moving day, which helps make your move smooth and efficient. Hancock is a beautiful part of the U.P., get ready to experience it with the help of Guindon. Hancock is a beautiful, quaint town in the Michigan’s Upper Peninsula that perfectly personifies small town style American life. 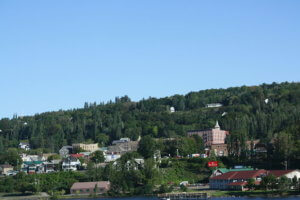 Hancock is characterized by Victorian-style homes and buildings, beautiful natural landscapes and by being the second snowiest town in the U.S. Nature lovers moving to Hancock will absolutely love the miles of forest surrounding the town and its location on Lake Superior, the largest freshwater lake on earth. There’s also plenty for artists and art enthusiasts to do in Hancock. The Pewabic House, birthplace of Mary Chase Perry Stratton, founder of Pewabic Pottery; Turquoise Art Gallery; Kerredge Gallery and the Republic Bank Gallery are all located in or around Hancock, MI. When you’re looking for a reliable moving and storage company in Hancock, look no further than Guindon Moving & Storage. If you need a moving company in the Hancock area, you’ll want a professional team of movers with plenty of experience performing moves in the area. A company that understands the finer points of living and operating in the U.P. can be a lot of help when moving to Hancock. Guindon Moving & Storage always arrives on moving day with a concrete plan on how to get your move done in the most efficient way possible. We are a moving and storage company made up of professionals, and we have over 80 years of experience in the moving and storage business. We are members of the American Moving & Storage Association and the Michigan Movers Association, so rest assured we are a name you can trust. Regardless of whether your local move is taking place within the city of Hancock or you’re moving all the way down to Detroit, you will receive the highest level of service and care. Being affordable movers and honest with our pricing has always been a cornerstone of what we stand for at our company. If you’re ready to get your Hancock move started, fill out our online form for a free quote.